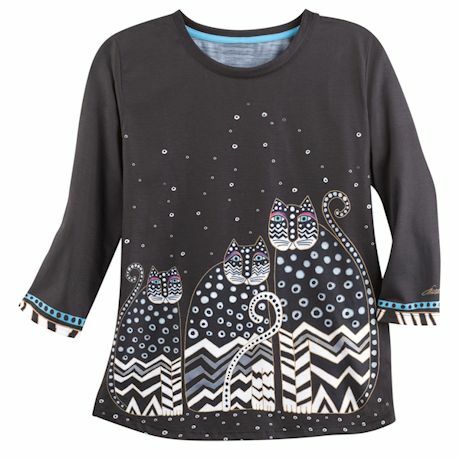 Laurel Burch's love of cats is evident in her creative art; this top adds bright bursts of cobalt blue to kick up your look. Top is printed front and back. 100% polyester. Imported. 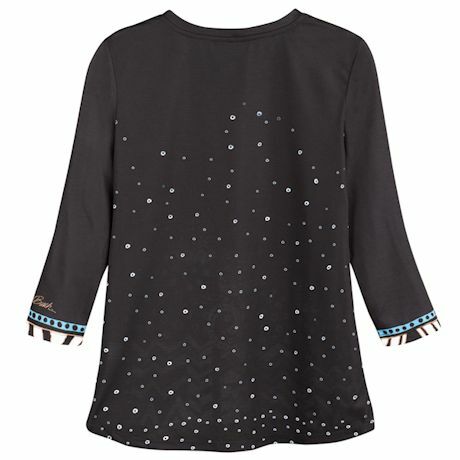 M(10-12), L(14-16), XL(18), XXL(20); 26"L.